Do you always wait until the last minute to get something done? We all have natural behaviors regarding the use of time and how we organize time and space. Sometimes our styles work well for us, but when we do not understand how to work with our natural styles, we can get in our own way and impede our best intentions. Understanding what can work for us and what does not impacts the overall quality of our life. And the clock moves forward rapidly. “I don’t have to start that project now, because I really do my best work under pressure,” says a Cliff HangerTM. This Time Style personality believes, “I feel excited when I race against time.” Disliking boredom, she creates a crisis-like lifestyle with the familiar excitement of last minute deadline. She waits to feel inspired to begin a task and believes that pressure helps her focus. She thinks her ability to complete tasks is enhanced. A Cliff Hanger may not realize the un-said costs of getting work done just under the wire. There is a tendency to underestimate the time required to complete tasks. Adrenaline helps her to focus, but there often isn’t enough time to check work thoroughly. Stress piles on tension when things that go wrong need to be handled at the last minute. She often comments she would have done more had she not run out of time. Working with other time styles can be problematic. While the Cliff Hanger bores quickly, she may also be unaware of how her style impacts others. Those who prefer planning, implementing according to plan, and completing project on time may feel stress and frustration with this style. A Cliff Hanger may feel judged if her unconventional work methods are scrutinized and her ability to complete projects well and on deadline is questioned. What steps can a Cliff Hanger take to get positive results, avoid the stress that ‘waiting for inspiration’ causes, reduce errors due to time pressure, and create a more enjoyable workflow? Flow is defined as the “natural, effortless unfolding of life in a way that moves us toward wholeness and harmony” (from The Power of Flow, Belitz and Lundstrom). The gateway to flow begins with awareness, being present in the moment, and learning to manage your inner experience. Flow StepsTM offer simple choices to help resolve tension and restore freedom over time and space. 1. Employ the technique of backwards scheduling to ensure larger projects are completed on time. 3. Build ‘down time’ for true spontaneity into the day. These are just a few ways to use your natural style to create a more pleasing workflow experience. Once you identify your time style preference – are you a Hopper™, Hyper Focus™, Big Picture™, Perfectionist Plus™, Impulsive™, or a Cliff Hanger™? 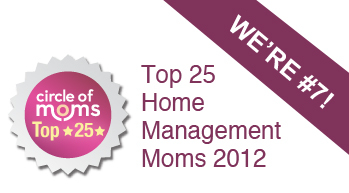 – you can begin to take steps to integrate more Flow Steps into your experience. 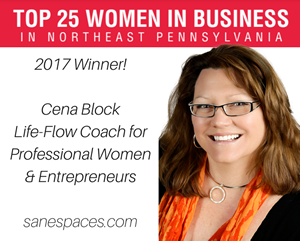 Cena Block (sanespaces.com) specializes in helping moms design work on their own terms and build smart supportive systems that create time for living. 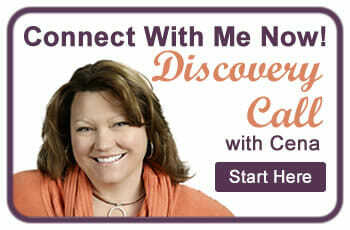 A business coach and author, Cena has collaborated with professional organizer and author Sunny Schlenger (suncoach.com) to create the Time & Space Style Inventory™ – a tool that not only identifies natural behavioral styles but also enables you to use that information to create a personalized road map to manage your time and space. Find Sunny’s new book: Flow Formula: A Guidebook to Wholeness and Harmony on Amazon.com.